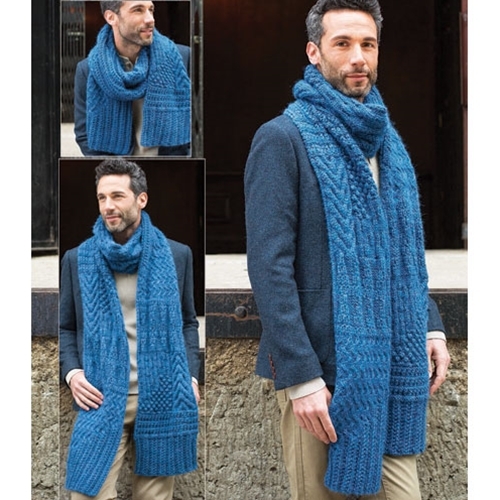 Extra-long scarf with multiple textured pattern stitches. 19 sts and 21 rows = 4"/10cm over textured rib (slightly stretched) using size 10½ (6.5mm) needles. Note: The stitch and row gauge varies between the patterns. The stitch counts are adjusted accordingly.